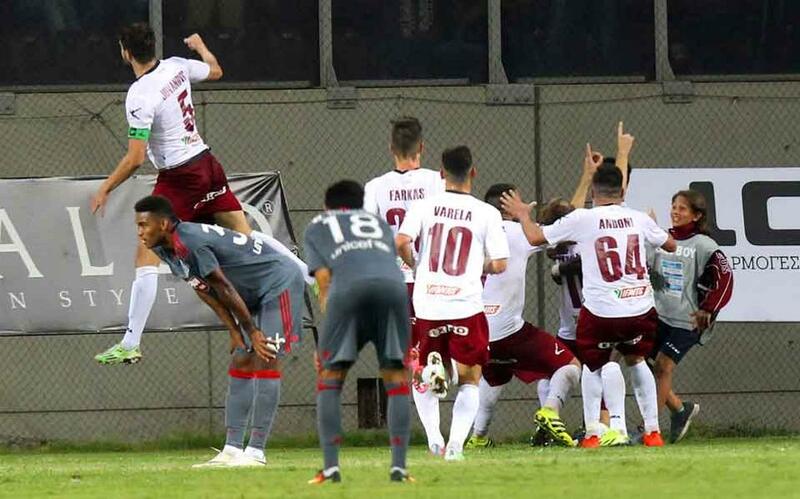 New boys Larissa defeated champion Olympiakos on Sunday, offering AEK the chance to go alone on top of the Super League table on Monday if it beats Iraklis at home. Olympiakos continued its string of poor performances that saw it miss out on the Champions League group stage in August, and lost 1-0 to a stubborn Larissa at the AEL FC Arena due to a Nikos Golias goal in injury time. 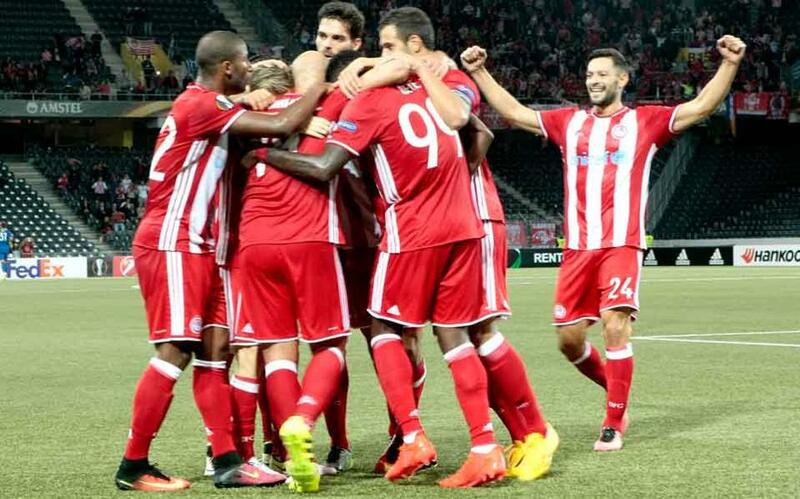 The hosts beat Olympiakos for the first time in over 10 years. For now Panathinaikos and Platanias are on top with seven points after their goalless draws on the road ended their perfect record from the first two games. Panathinaikos drew at Panetolikos after a game full of chances but without any goals, although the Greens are fuming at having a goal canceled in the first half for offside, although on TV replays it appeared the goal should stand. Hania team Platanias snatched a goalless draw at PAS Yiannina, that finished the match with 10 men, while PAOK also shared a goalless game with Xanthi at home, with the visitors playing with 10 from the 69th minute. Veria, that saw its coach Alekos Vosniadis leave during the week, grabbed its first points of the season beating Panionios 2-1 away; similarly Atromitos, with caretaking coach Giorgos Korakakis on its bench after the sacking of Traianos Dellas, downed visiting Asteras Tripolis 1-0 at Peristeri. First win for Levadiakos too, that saw off Kerkyra 2-1 at home on Sunday. 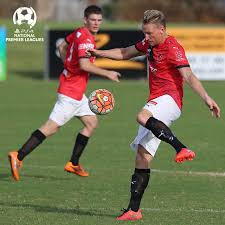 Edgeworth will play Sydney United 58 or Brisbane Strikers in the final of the National Premier Leagues Finals Series after beating Perth SC 1-0 in Western Australia on Saturday night. A goal in the 51st minute from veteran striker Daniel McBreen settled the contest at Dorrien Gardens as captain and man of the match Josh Evans led another strong defensive effort from the visitors. Northern NSW NPL champions Edgeworth beat Victorian titleholders Bentleigh Greens 3-1 last weekend. The Eagles, who also beat 2015 Queensland premiers Northern Fury 3-0 in the FFA Cup, have now beaten three state champions on the road this season, scoring seven goals to one in the process. 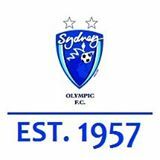 Sydney United host the Strikers at Edensor Park on Sunday to see who will meet Edgeworth in the final. The date and venue for the decider will depend on who wins on Sunday in Sydney. If Edgeworth host the final, it will most likely be next Saturday. The Eagles are the first Northern NSW team to qualify for the national NPL final. Archaeologists have made the rare discovery of a 2,000-year-old human skeleton at a shipwreck off the island of Antikythera. The skeleton could become the first of its kind to yield DNA, reports the ABC, given that skeletons rarely survive over such a long period, often being swept away or eaten by fish. 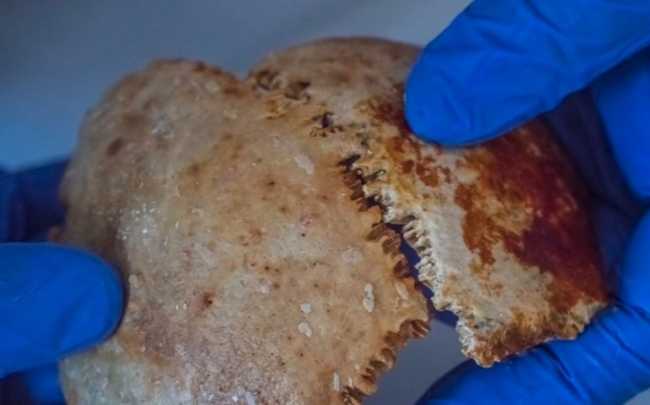 The preserved bones, which include a partial skull, two arm bones, several ribs and two femurs, could help scientists in their quest to reveal more about the shipwreck and those aboard at the time. Ancient DNA analysis expert from Denmark Museum of Natural History, Hannes Schroeder says so far the remains are believed to come from a young man. But what could be the ultimate key to all answers is the recovery of the petrous bones found behind the ear, which he says best preserve DNA in comparison to other parts of the body. “If there’s any DNA, then from what we know, it’ll be there,” Dr Schroeder said. If a DNA test is approved by the Greek Government, everything from the individual’s hair and eye colour, ancestry and geographic origin, could be found out. The Antikythera shipwreck is believed to be the first ever to be investigated by archaeologists, after being discovered by sponge divers in 1900 submerged under 50 metres of water. In 1901 the Antikythera Mechanism was found amidst the shipwreck, said to be the world’s oldest computer dating back to the 2nd-century BC. 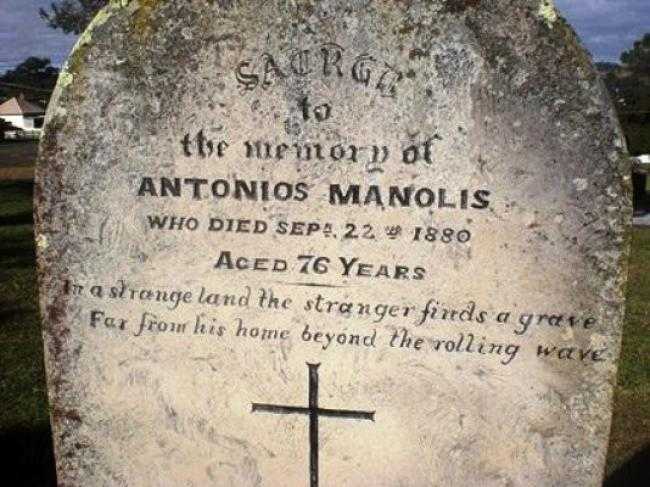 The tombstone of Antonis Manolis, the first officially recorded Greek to ever set foot in Australia. August is a very significant month in the history of the Greek Community in Australia, as it marks two different anniversaries. It was in August that the first Greeks set foot in the country and it was in August that the Greek Orthodox of Melbourne and Victoria was founded. When the founding meeting of the GOCMV took place, 119 years ago, on 22 August 1897, the 57 members – Greeks living in Melbourne – would have never imagined that what they created would grow to become the greatest, in terms of history and massive participation, organisation of the Greek diaspora in Australia. 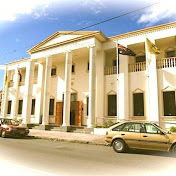 The Greek Community of Melbourne may be older than the Australian Federation itself, but Greek presence in Australia is even older. According to the official records, the first Greeks to set foot in the country, were seven sailors, who arrived on 27 August 1829: Georgios Vasilakis, Gikas Voulgaris, Georgios Laritsos, Antonis Manolis, Damianos Ninis, Nikolaos Papandreas and Konstantinos Strombolis. The seven sailors were convicted for piracy by the British Empire and were exiled to Australia, a fate better than death, which was the other option for this crime. They might not be the first Greeks in Australia, though. Damianos Gikas, a captain from Hydra, was wrongly convicted for piracy by the British navy and exiled to Sydney, but what ensued is unknown, since there are no records of him, neither in Australia, nor in Greece. In 1814, Giorgos Pappas came in Australia in 1814, as a crew member of a ship of settlers. He got married to an Aboriginal woman, left his ship and settled in Sydney. Australian newspapers in 1900 state other Greek names arriving between 1803 and 1820, but the first confirmed arrivals are the seven convicts from Hydra that came aboard the ‘Hercules’, captained by the Athenian Antonis Manolis. The seven convicted pirates had raided the commercial freighter ‘Alkistis’, without harming the British crew, on 29 July 1827, in Maltese waters. Their loot included pepper, utility items, ropes and sulfur. Two days later, they were arrested by the British ship ‘Gannet’, patrolling south of Crete. Greece’s three representatives in the Europa League had mixed results on their opening night in the group stage of the competition on Thursday, as Olympiakos won on the road, Panathinaikos lost in Athens and PAOK drew in Thessaloniki. Olympiakos scored its 100th win in all European competitions, beating Young Boys 1-0 in the Swiss capital of Bern, showing its superiority almost throughout the game on the artificial pitch. It was the 42nd minute when Marko Marin fed Brown Ideye in the penalty area and Esteban Cambiasso followed up to slot the ball home. In the second half the Reds held on through their experience and got all three points that already put them on the driver’s seat in the group, along with APOEL that beat Astana in Nicosia. Panathinaikos lost 2-1 to Ajax in Athens, in a game where it saw everything turn against it once it took the lead on the fifth minute with Marcus Berg. Bertrand Traore made the most of an Ivan Ivanov error to equalize for the Dutch on the 34th, and Jairo Riedeweld capitalized on the slow reaction of the Panathinaikos defenders to a Luke Steele penalty save, to make it 2-1. The Greens ended the match with nine men after Ivanov and Mubarak Wakaso got sent off, as did Ajax’s Hakim Ziyech. PAOK and Fiorentina shared a goalless draw at Toumba that will leave both of them happy. Fiorentina was clearly the better team in the game, but without creating so many chances, while the Greeks mainly had defending in their minds and managed to keep a clean sheet against arguably the strongest team in their group. 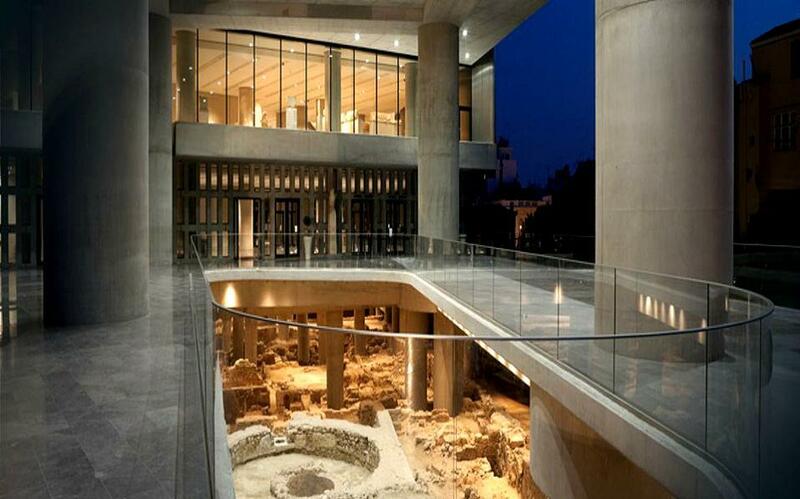 Users of the TripAdvisor website have voted the Acropolis Museum in Athens the best museum in Greece, making it ninth in the world. Designed by US-based architect Bernard Tschumi, the modernist building at the foot of the Acropolis’ southern slope showcases surviving treasures from the Archaic and Roman periods, with particular emphasis on the Acropolis of the 5th century BC. The museum opened in 2009. The top 10 institutions according to the 2016 edition of TripAdvisor’s Travelers’ Choice Awards for best museums, are headed by the Metropolitan Museum in New York. The top 10 list, which mostly features European museums, also includes the Art Institute of Chicago, St Petersburg’s Hermitage, the Musee d’Orsay in Paris, and the British Museum in London. 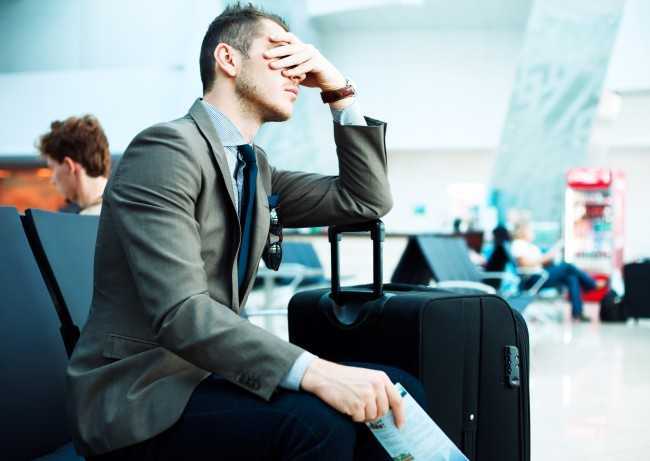 The ranking is based on millions of TripAdvisor reviews from travelers over a 12-month period. 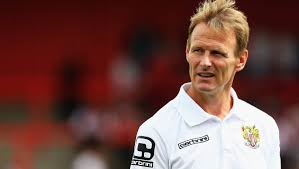 TEDDY Sheringham won a treble with Manchester United, played at two World Cups, sits ninth on the Premier League’s all-time goal-scorers’ list and has dipped his toe in coaching at English League Two club Stevenage. Michael Bridges played opposite Sheringham in the Premier League, is a former Jets captain and assistant coach, works as an A-League analyst and has lived in the Hunter for seven years. Now the former top-flight strikers want to take the reins of the Newcastle Jets. Bridges confirmed on Tuesday his interest in “continuing the job” that Scott Miller started and “bringing some stability” to the club. A week after the sudden dismissal of Miller and assistant Luciano Trani, chief executive Lawrie McKinna is compiling a shortlist of six candidates and expects to begin interviews on Thursday. Bridges worked at the club under Phil Stubbins but resigned two days after the coach controversially sacked the remainder of the support staff. The 38-year-old has since completed his coaching A licence and has been employed as an expert analyst for Fox Sports, SBS, Channel Nine and Optus. Bridges and Sheringham are clients of ie:sports management company. “I’m not going to hide the fact that I put my name forward for the job,” Bridges said. “Whether I have the experience or haven’t, I’ll back myself all the way. “Then an opportunity came up to join Teddy as a package. It would be silly not to want to work under somebody with his experience and pedigree. Sheringham, who played until he was nearly 41, is relatively new to the coaching scene. He made his debut as a manager with English League Two club Stevenage last season but was let go in February after recording just seven wins from 33 games. Sheringham, 50, most recently worked as a strikers coach at West Ham. The Jets improved from 10th to eighth under Miller, and with a settled squad, Bridges is adamant the trend upwards can continue. “Scott was doing a great job,” he said. Bridges said his knowledge of the league and the Hunter region would make for an easy transition for Sheringham. “I can nest him in, help him understand what the region is all about,” he said. Bridges, who played at Sunderlan, Leeds and Newcastle United, opposed Sheringham when the latter was at Tottenham and West Ham United. Northern NSW Football has taken over the running of Newcastle Football’s SAP coaching program after a disagreement about how to develop junior talent. The decision means Newcastle Football, which has won the past three boys state championships in under-11s and under-12s, will not send teams to next year’s titles. NNSWF will select players from its Newcastle SAP program to compete at the championships, which also include the Emerging Jets and zone teams from Macquarie, Hunter Valley and four other districts. Northern will meet with parents on Tuesday night at Souths Leagues Club to outline how it will run the Newcastle program, which will comprise boys from under-10s to under-12s and girls from under-9s to under-12s. NNSWF boss David Eland said Northern had appointed a technical director and several coaches and secured a venue for its Newcastle Skill Acquisition Phase program, in which identified players train and play exclusively with a SAP team. Newcastle Football is reviving its NET boys program, in which club teams and coaches train once a week with the zone’s coaches under technical director Richard Hartley. 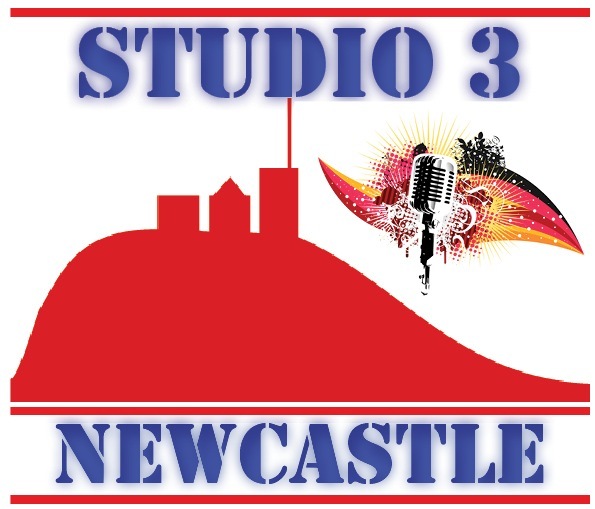 Newcastle ran the program in 2014 but reverted to SAP in the past two years. Its girls program will mirror SAP in that identified players will train and play only with their zone team. Eland said he had recommended to his board that NNSWF run SAP in Newcastle as Newcastle Football wanted to pursue a different program. “Newcastle Football was not prepared to commit to a licensed SAP from 2017,” he said. “Unfortunately, our philosophies in this regard were not aligned. “Newcastle Football were very keen to implement a program that was very, very broad, and that just wasn’t aligned to our high-performance principles. If Newcastle Football don’t want to do it, there’s not a lot we can do. Newcastle Football chief Russell Henry said NET would support the player numbers required by NPL and WPL clubs. “We believe that the base should be wider. We should be offering the Skills Acquisition Phase of training program to as many players as we can,” Henry said. Both Eland and Henry said players and parents were free to choose between the programs on offer. “There is a choice,” Henry said. 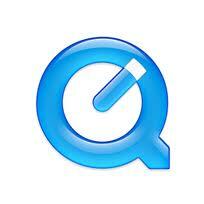 “The decision to go with the SAP has the pathway that David is publicising, and we accept that. We’re not questioning any of that. Eland said Newcastle Football would not have teams at the state titles as “they are not part of our talented player pathway any more”. “The state championships are for member zones that are committed to the skill acquisition program,” he said. “We’ve redefined the principal purpose of the state championships. They are principally there as a talent identification opportunity . . . to identify players with the potential to be part of our Emerging Jets program. Eland acknowledged that parents facing a choice between the two programs would be “feeling a bit confused”. Eland said Northern had asked NPL clubs whether they wanted to take over the SAP program from the member zones during the next licence period, but they were unanimously against the idea. As the Socceroos embark on the last stage of World Cup Qualifiers over the next 12 months, Socceroo winger Chris Ikonomidis will leave Rome’s Lazio and embark on a season long loan to Danish Super League club AGF in a bid to get more precious game time, in a hope that it will keep him in contention for a place in the Socceroos squad. 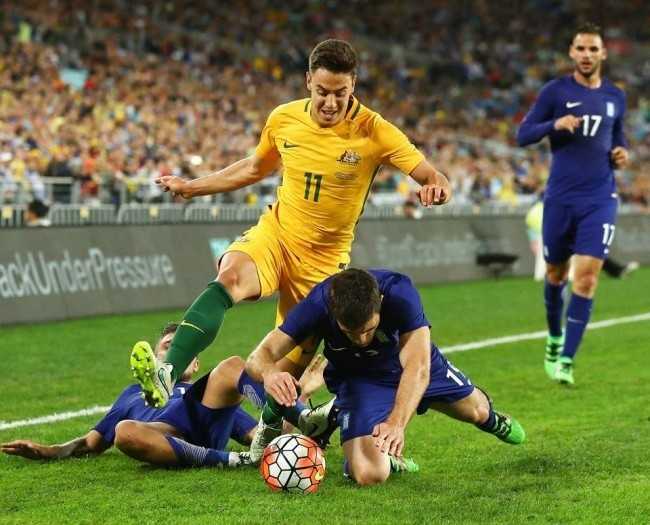 Currently in Ang Postecoglou’s Socceroos squad for the first two matches in the last stage of the Socceroos’ qualifying campaign, against Iraq in Perth and the UAE away from home, Ikonomidis is hoping to add significantly to his six Socceroo caps. The Sydney-born 21-year-old, who played at Sutherland Sharks in Sydney before moving to Italy as a 17-year-old to pursue a professional career, joined Lazio’s youth team in 2013 and made his senior debut last season when he was loaned out to Italian Serie B club Salernitana, for whom he made 14 senior appearances and scored one goal. Following Australia’s two World Cup qualifying matches Ikonomidis will fly to Denmark to join his new team mates at AGF. Amongst them will be fellow Australian midfielder Mustafa Amini who has signed a three year deal with the club.